Most organizations have come up with plans and marketing strategies .This marketing strategies incorporate missions, goals and objectives of the organization to ensure that neither the organization’s stakeholder nor the employees are at loss. This paper basically looks at Apple Inc. and will attempt to investigate some of the principles that are involved in planning and the range of techniques and tools that Apple Inc. uses to develop their marketing strategy. The paper will also look at the implications that environment changes has on their marketing strategies. Some of the techniques that Apple uses to develop their marketing strategy in the current business environment include those that target customer care, taking advantage of new innovations which can support some of their applications and programs for instance the iPod and iPad craze and using a monolithic approach to marketing whereby all the products use the brand name Apple and hence boosting the overall performance of the company (Quirk and Fandt, 2000 p 24). The planning principles that are used by Apple focus on ensuring that their customers get satisfied and their needs are catered for (Heather, n.d).The strategy that Apple inc. uses, and in fact with the biggest impact is their approach to customers’ needs and concern. Here they heavily focus on the experience of their customers. Apple’s main competence and strong point is in ensuring that they deliver exceptional and excellent experience to their customers my ensuring that they have the best user interfaces and user friendly screens. This is an area of that the company focuses on heavily in as far as their products are concerned. According to Richard (2007 p 89) Apple has yet another branding strategy which basically focuses on customers’ emotions. This strategy is more concerned with different customers’ personalities which takes care of different aspects of their personalities for instance their lifestyles, their passion some of their aspirations ,liberty and many other interests ,tests and preferences. They focus on attempting to be simple and avoiding complexity by coming up with innovation and designs that appeal to the people. There is arrange of marketing strategies that Apple uses which also include efforts and attempts to break through markets and serve their customers efficiently, they have structures and plans in place which ensures that they reach their customers world wide without fail. The organization has subsidiaries and franchise all over the globe. The apple organization truly connects with the customers and that is why it is loved world over (Robert, 2009 p 78). The brand’s franchise is very strong. The preference that most of their products get is overwhelming and that keeps the company a float for over now two decades. Another thing that the company does to stay ahead of the competition is through their pricing policy, they price their products reasonably. Industry pundits allege that Apple has stayed ahead of their competition because of the reasonable and premium pricing .It is one of the companies with arguably some of the most fair prices .Many are of the opinion that without the fair pricing they would not be still competitive in the PC business. Apple is so advanced and very efficient with all their manufacturing and distribution and supply chain. Apple is very efficient when it comes to logistics, reaching out to customers and related operations, the only serious competition that Apple has in the world of PCs and its solutions could be Dell. Apple’s products come with an additional advantage in as far as cost is concerned. For instance the company doesn’t pay other companies to get licenses for operating systems. They increased their product portfolio to now include iMac, iLIfe, iPhone, iBook and iLife.The following is range some of the options as far as marketing strategies are concerned which Apple uses .Through competitive positioning, value creation and excellent customer care, Apple has managed to stay ahead of the park .The huge image and excellence of the Apple brand leaves the organization with a very big challenge and task of living up to it. Their innovativeness together with technology savvy and beautiful designs of their products matches and meets the company’s promise (Parry, 2005 p 67). 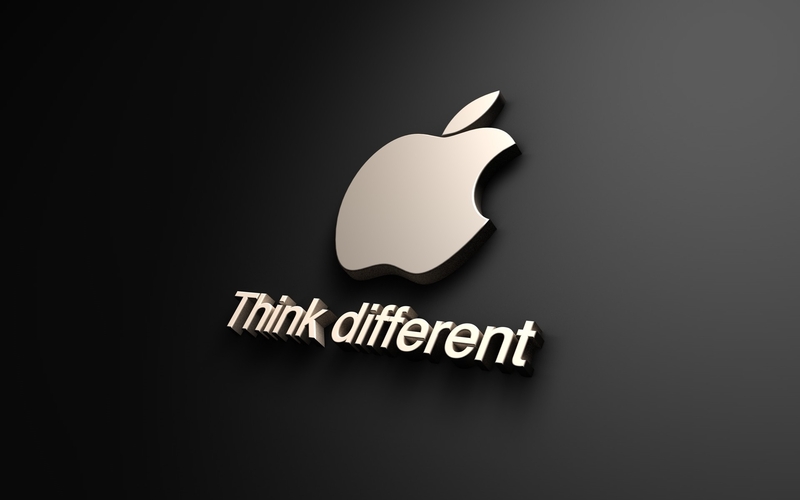 Apple as a company that is concerned about customers, fully understand virtually all aspects of the needs of their customers and deem them all important and that in many ways help to reinforce the brand. Apple Inc. as an organization has improved and expanded their distribution ability and capabilities by coming up with their own retail shops in major cities all over the world particularly in places with bigger populations. The market environment keeps on changing drastically and for any company to continue enjoying its market share, it has to respond to the changes accordingly. For instance customers become more demanding with their varied tastes and preferences. Apple came up with very innovative gadgets but marketing them was a bit of a problem and diversification proved to be lackluster (O’Grady, 2008 p 32). Apple had to respond to some of this changes by coming up with more tools and methods. Improved forecasting results were obtained when judgment-based management forecasts were merged with quantitative forecasts (Wilson and Gilligan, 2005 p 127). Forecasting methods comprise of subjective and objective methods .The subjective methods are basically qualitative techniques that only rely on human judgments rather than mathematical or numerical calculations. Some of the subjective methods that apple should incorporate in marketing and also in their daily operations should include among others, executive opinions methods and sales force composites whereby the sales managers simply make well informed subjective predictions about the market then consult other colleagues in charge of finance and other related departments .The objective methods which are quantitative in nature can also be used .This is whereby apple can use old records and reports to come up with predictions based on the relationships between various factors in the market . The results here can be extrapolated to predict the future trends. Some of the objective methods that can be used include time series models or casual models (Gitman, et al, 2008, p 27). According to Linzmayer,(2004 p 46) some specific ideas can be put in practice by Apple in some key functional areas hence help to develop the brand and contribute to the achievement of Apple achieve some of its marketing objectives in the coming few years .Apple can still get into some strategic merges with other relate companies to help them co-brand and in distributing their products, solutions and services This is one of the most common methods that many companies have been using from way back (Geisst, 2006, p 269). For instance they can approach HP to sell some of their products, particularly their new technology savvy products like the ipad they can come up with promotional alliances. Apple in a bid to stay a head of their competition and attract more customers, they should make it easy for people to access and acquire iPods by doing partnerships with resellers and in the process attract more customers to their online products. Apple shops that retail their products should ensure that they give customers true value of the brand. Customers who visit Apple Store should be given humane treatment and in the process they will get to experience and discover what the apple organization is all about, products, quality and services. The ambience that Apple should create within their outlets, for instance allowing customers to test products and ask for assistance can makes many customers to feel at home with the outlets and their products. The staff at Apple’s outlets shops should be welcoming enough and helpful in the sense that they voluntarily provide information to ignorant customer without looking down upon them. The customer care service should create a feeling of togetherness and inclusiveness by making customers to understand what technology ought to be like and how it should help improve peoples’ lives. The strategy that Apple ought to use in doing global marketing should basically be monolithic in nature i.e. the organization must only be interested in it being identified by one brand name the varying nature of their products and services notwithstanding. The company in a bid to market the brand effectively and maintaining its identity, everything has to be associated with the name `Apple ‘whether it is the iPod or iTunes. Apple in a bid to appeal customers all over the world, they should venture in as many products as possible particularly those that people across the world seem to be interested in technology wise.